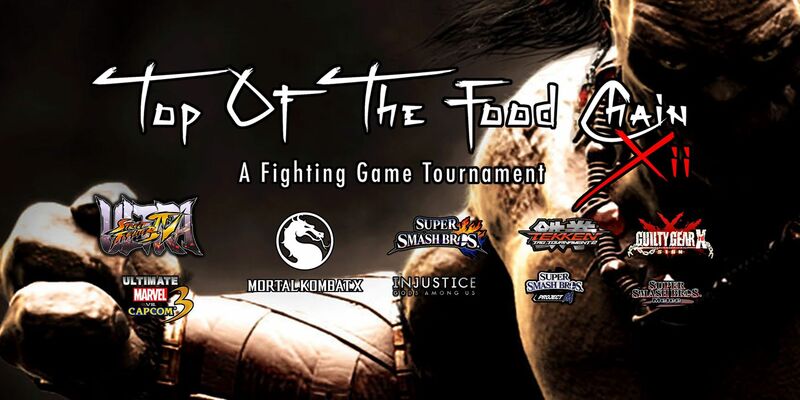 (May 16 '15) Top Of The Food Chain XII, Fight Tournaments, Mortal Kombat X, USF4, Smash Bros + MORE, Chesapeake, VA: TOTFC & DPS | Community. Reviews. Pwnage. Any game not getting at least 8 entries will be canceled and refunded.